Centuria’s Neil Rogan explains why super isn’t necessarily your only long-term savings plan, particularly if you want to be able to choose when to retire. Unless you are one of the lucky few people with a private income, choosing when to stop work or to retire is not always possible. Working to pay the bills and save for retirement is a fact of life. It’s true we are all forced to save through super, which is great, but despite some improvements, recent figures from ASFA paint a grim picture of the retirement savings of most Australians. The ASFA Superannuation account balances by age and gender report, released in October 2017, shows that the overall super pie is getting larger. It also shows that gender inequality is improving as women continue to receive a bigger slice of the benefits. These are both positive outcomes, and proof that our super system is working –but the reality is that individual super balances are frequently insufficient to fund retirement at the usual age of 60-64, let alone allow the option of taking an earlier retirement. According to the same report, super balances at retirement age (60-64) were $270,710 for men and $157,050 for women. Putting aside the problem of the large gap between men and women, these balances are a far cry from the $545,000 that ASFA estimates a single person needs for a comfortable retirement. What’s more, if you were born prior to 1960 you can’t access your super until you are 55, and if you were born after 1960, until you are 60. Super is a very tax-effective long-term plan, and for most of us, making additional super contributions will be the most tax-effective way to build up retirement savings. However, recent changes to super mean that some Australians will be unable to contribute more to super in a tax-effective way, and still others will not be able to make any additional contributions. And there remains the problem of early access. What are the alternatives to super – and do they really compare? There are a number of alternative savings plans outside of super.The problem is that few, if any,are as tax effective. Investing in property, contributing a managed fund, building a share portfolio or even using term deposits are all valid strategies that won’t lock your money up in the way super does, but they have little, if any, tax-advantage. Most investors will pay their marginal tax rate on returns from investments outside of super. Creating a company structure to hold investments is one way to minimise tax. Because a company pays only the corporate tax rate of 30%, returns on investments held in a company will be taxed at 30%, rather than the investor’s personal tax rate, which could be much higher. There are two downsides to this strategy. The first is that setting up and maintaining a company (including preparing financial statements every year as well as on-going legal compliance requirements) can be expensive. In addition, the tax advantage is only a way of deferring tax. As soon as dividends are paid from the company to an individual, the individual will pay the difference between the company tax rate and his/her individual rate. In operation, investment bonds are like tax-paid managed funds, whereas in structure,they are in fact insurance policies, each with a life insured and a beneficiary. Like managed funds, they offer investors a range of underlying investment portfolios – from defensive assets like cash and fixed interest, to higher-growth options such as share portfolios, as well as portfolios with a mixture of both. There is no upper limit to how much you can invest in an investment bond, and it is possible to continue to contribute each year up to 120% of the previous year’s contribution. The tax advantage works like this:returns from the underlying investment portfolio are taxed at the company rate of 30%, and are then reinvested. The investor does not receive a distribution, and therefore does not need to declare returns on his/her personal income tax return. In addition, if the underlying portfolio in the bond contains equities with franking credits, the effective tax-rate paid may be less than 30%. If the investor holds the bond for 10 years, all accumulated returns and principal are distributed completely tax free. Investment bonds are flexible; in that it is possible to access funds before the 10-year period is up. However, depending on when, some of the tax-advantage will be lost. An investment bond can also be an effective estate planning tool. Investment bonds do not form part of an investor’s estate, and can be left to a nominated beneficiary who will receive all proceeds tax free on the death of the life insured, regardless of when that occurs. Concessional (pre-tax) contributions have been limited to $25,000 per annum. After this threshold is reached, contributions will be taxed at 30% rather than 15%. This is the same level of tax paid on returns from an investment bond. Super balances are capped at $1.6 million. Once this threshold is reached, no more contributions are permitted into super. Balances in tax-free pension phase accounts are limited to $1.6 million. Once this is reached, the excess must be transferred back into an accumulation phase account, or out of super. Non-concessional (after-tax) contributions to super are now limited to $100,000 per annum. When super contributions have been maximised, an investment bond can save you a great deal of tax. Anthony has contributed as much as he is legally allowed to super, both in terms of his concessional (pre-tax) and non-concessional (post-tax) contributions. At the same time, he has recently sold a property investment, and has made a profit of $200,000, which he would now like to invest. He would very much like a tax-effective investment if possible, because he knows that he will pay his full marginal tax rate of 49% on any returns he makes. He earns a good income, and does not need distributions from his investment to live on, in fact, he would prefer any returns re-invested to benefit from compounding returns over the longer term. Anthony wants to invest in a portfolio of Australian and/or international shares via a managed fund, but he knows that any distributions he receives, even if he re-invests them in the fund, will be taxed at the highest rate. Instead, Anthony invests in an investment bond, with an underlying portfolio of Australian equities, which means he receives a tax advantage at two levels. Returns from the underlying portfolio of an investment bond are taxed at the company rate of 30%, and are re-invested in the bond. Because Anthony does not receive a distribution, he does not need to declare his investment bond or any returns to the ATO. Because some of the equities in his portfolio pay fully franked dividends, the actual rate of tax paid in the bond on his investment is less than 30%. In addition, because Anthony is unable to contribute more to his super fund, he contributes $10,000 per annum to his investment bond instead. And after three years, he reduces his annual contribution to his bond to $5,000. After 10 years from the start of his bond, Anthony redeems his bond to pay for a large renovation to his home. Because he has held the bond for 10 years, all the proceeds (approximately $551,646) are tax-free. If Anthony had invested in a managed fund with the same portfolio and rate of return, he would have $35,763 less, due to the tax he would have paid on returns. Super is a great way to fund retirement, and in many cases, its tax-effectiveness means it is still the best option. However, super is inflexible, both in terms of when you can access it, and how much you can contribute in a tax-advantaged way. 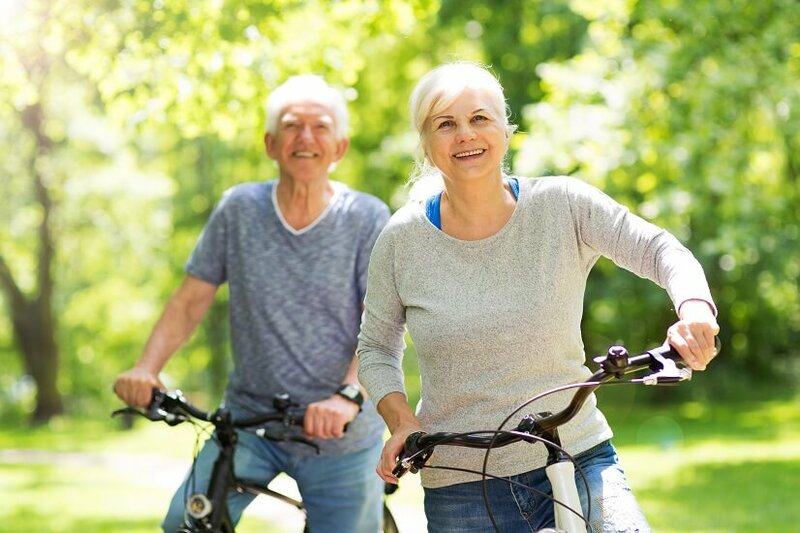 For Australians looking to build financial freedom to give themselves more choices, including when and how they retire, other tax-effective options such as investment bonds are certainly worth considering.